Will you give me detail about the Cultural Fest of National Institute of Technology Raipur? Eclectika, The Cultural Festival of National Institute of Technology Raipur. It is an biggest College festival of Central India. 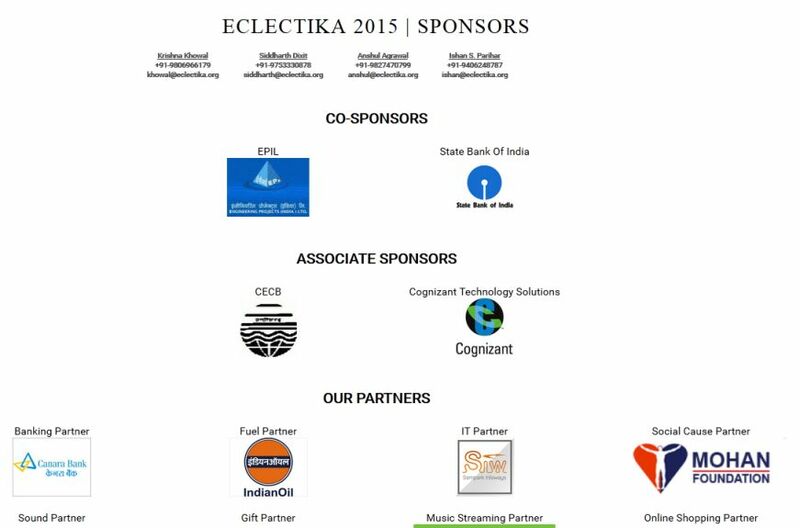 Eclectika 2015 was conducted on 20th-22nd February 2015.